Parking: Attendees are allowed to park in parking lots. No parking is allowed in the spaces marked as follows: “D”, Dean; “F”, Faculty; and McGeorge Maintenance Vehicle. Smoothie/Coffee Truck back again all day for attendees! Great raffle prizes at wine reception. 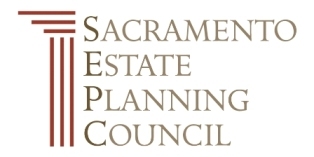 The Sacramento Estate Planning Council, in conjunction with the University of the Pacific, McGeorge School of Law presents the 2019 Estate Planning Forum (formerly the Technical Forum). This one-day educational program focuses on issues of importance to estate planning practitioners. Industry experts present their perspectives and findings in this dynamic and changing field. It is also one of the few local venues offering credit for not only general California Bar MCLE purposes, but for the California Bar legal specializations. All courses will be approved for continuing education for general MCLE purposes including the specializations. There will be 6 hours of credit available. Registration closes Friday, January 18 at 5pm. Refund Policy: No refunds after January 18.